Jordan Brand continues to impress with their latest models and they are set to make noise once again after unveiling an enhanced edition of the Jordan Fly Wade2, which is called Jordan Wade D’Reign. 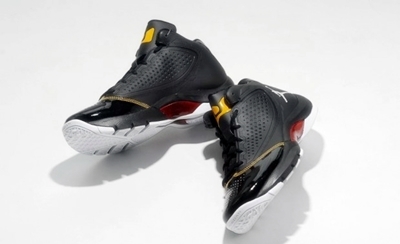 Jordan Wade D’Reign, which is obviously named from Wade’s “D’Wade” nickname, boast almost the same features of the Fly Wade 2, but definitely enhanced with the patent leather on the toe and matte black upper part accented with translucent red touches above the outsole. This new silhouette also sports the new Wade logo and looked liked applied with the Hyperfuse Technology. Impressed? Watch out for this one. This is expected to come out very soon!